December and January have usually been good months for seeing otters. This winter has been somewhat frustrating! Clues to their presence are very frequent in the form of tracks and spraint but there were no glimpses towards the end of the year. 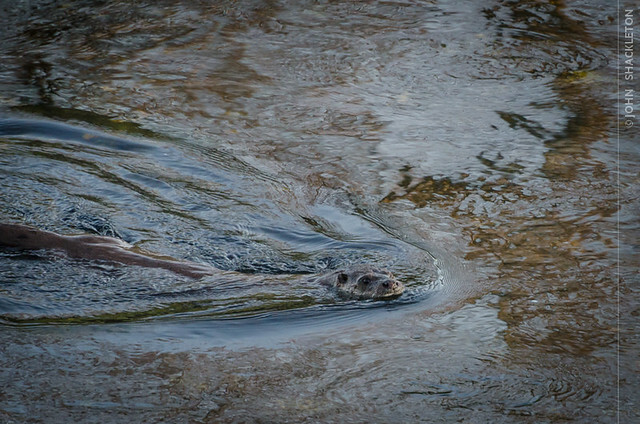 However, our luck changed early this morning, as we watched a lone otter for 30 minutes – our first of 2014. The nearby ducks seemed nervous, but the otter’s attention was firmly fixed upon fishing trout and eels, and it successfully caught both. The image above was taken just moments before it disappeared. 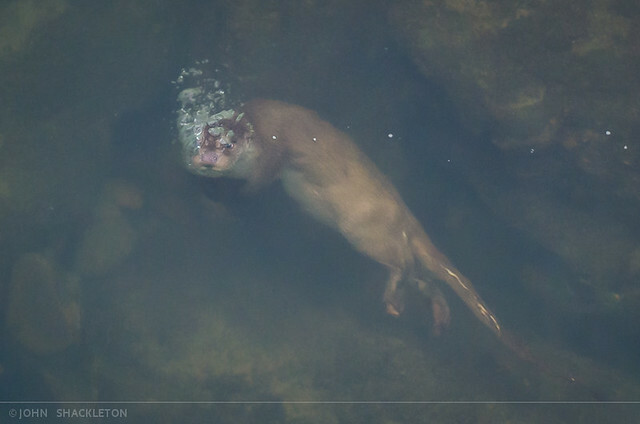 We recently looked back through the records to analyse our otter sightings. We are now fast approaching 100 separate encounters – excluding sightings in other parts of Asturias and Spain. Another otter taken during the winter (December 2012). And hard to imagine getting another similar opportunity. Hola John. Esa segunda foto se merece un premio. Te animo a que la presentes a algún concurso de los “gordos”. Es una pasada! Gracias Carlos! Fue un buen día. El agua estaba clara y yo estaba en un puente exactamente encima de la nutria. Mucha suerte. Un saludo, John.